Have a project that you haven't completed? Wanna learn some tips and tricks from your fellow painters while you work on projects together? Look no further than The Painting Table! 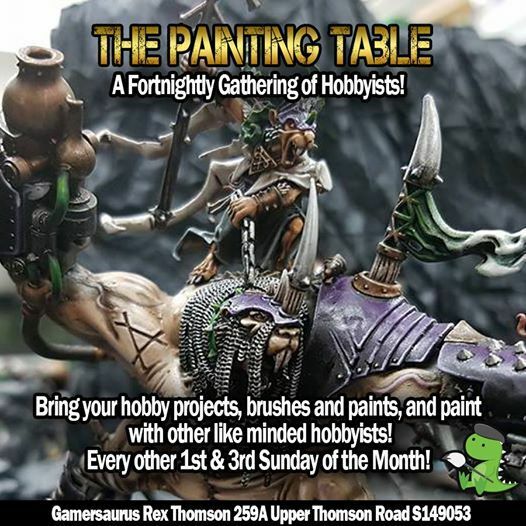 Every 2 Sundays of the month, its a gathering of hobbyists for a community painting jam! Be sure to RSVP! Entry is FREE! The Korean Makeup Workshop - Unveil the secrets of flawless skin.